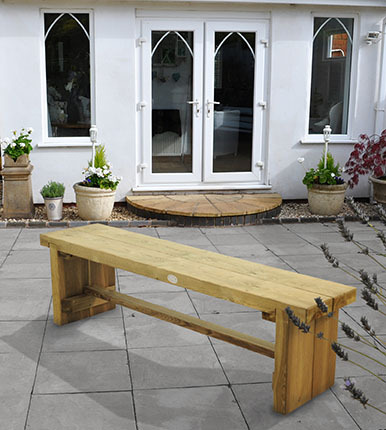 Sturdy and contemporary garden bench, part of the sleeper furniture range - designed to be mixed and matched to suit your space. 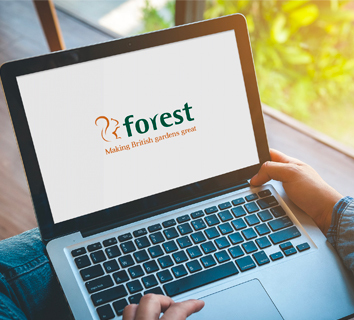 The innovative Sleeper range of furniture from Forest has been designed to be mixed and matched in any configuration. 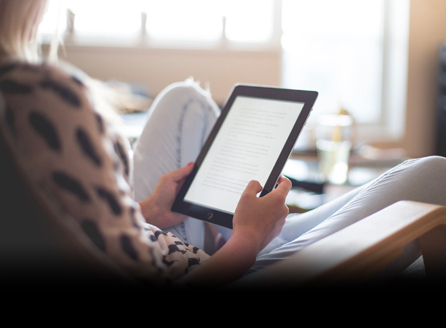 The furniture is sturdy and contemporary with simple lines to create a more informal look. 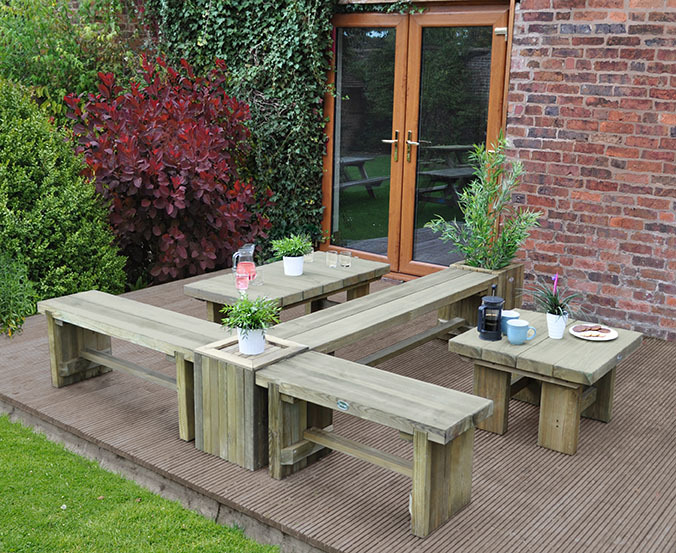 The 1.5M Double Sleeper Bench looks great on its own but when the benches and tables are combined they can create the ideal seating area to sit and relax with friends and family - bringing the inside out and making the most of summer days. 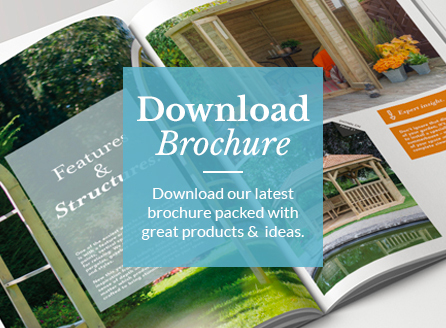 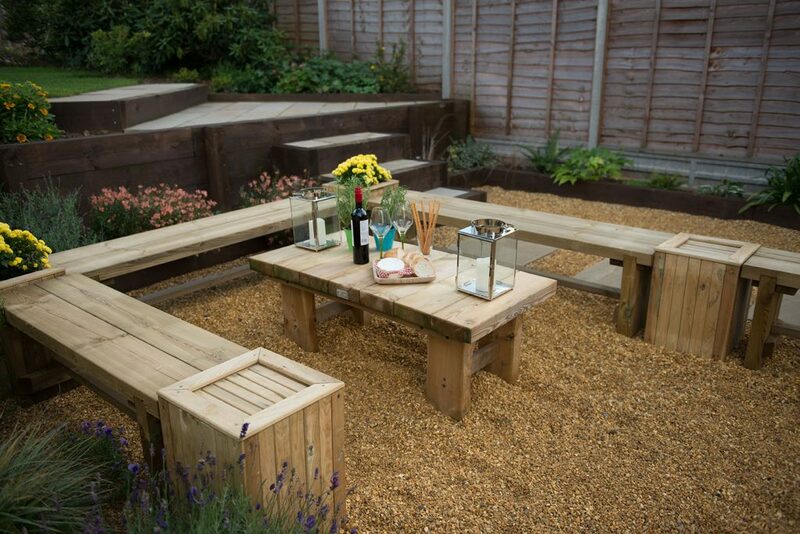 Simply think about the space you have available in your garden, on your patio or under your pergola - what space do you want to fill and how many people do you want to seat ? 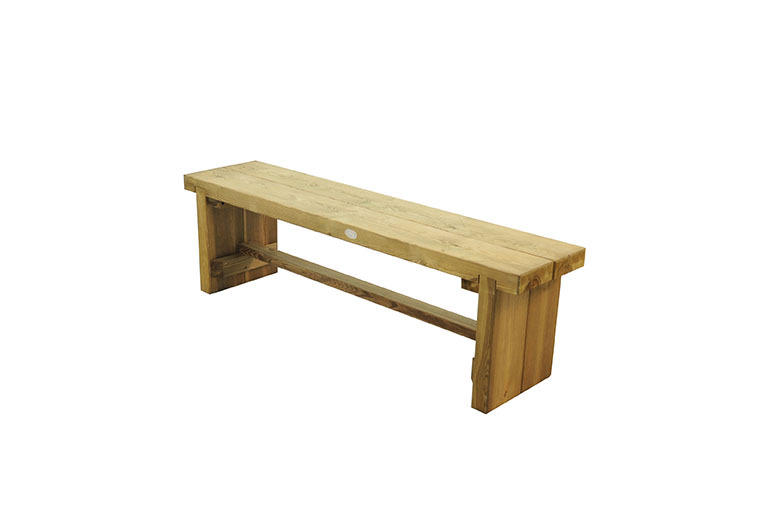 Then pick and choose your Double Sleeper Benches or Tables in the size that suits you. 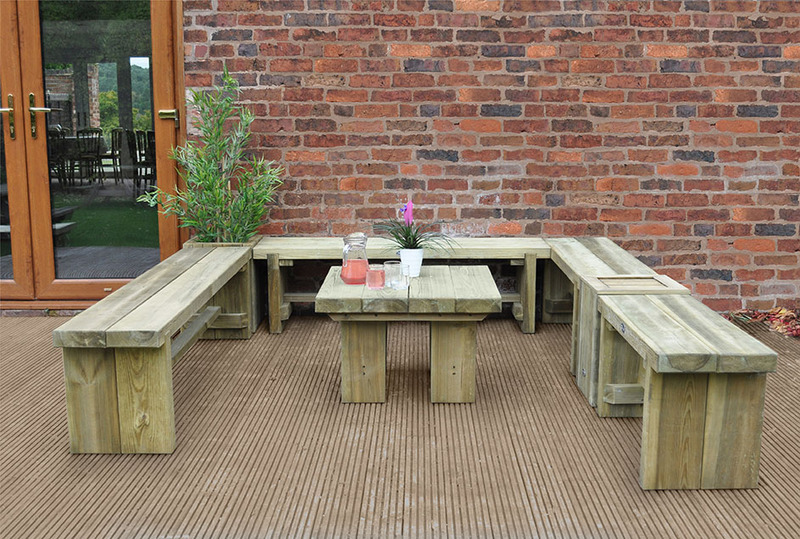 The Sleeper range is manufactured from Pressure Treated timber that has been smooth-planed for a splinter-free finish, ensuring it is comfortable and safe for children too. 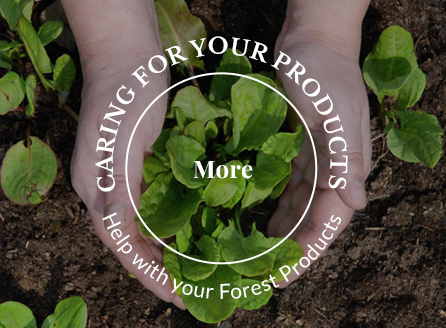 The timber is FSC certified from sustainable sources and comes with a 15 year guarantee against rot and fungal decay.